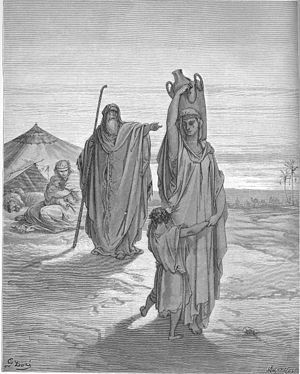 I just returned from a speaking trip to Texas, where people asked me questions like, “Why do Muslims hate Christians so much?” and “How did we get into this mess anyway?” I took those opportunities to direct them back to Abraham’s broken family relationships: the rejection, abandonment, jealousy, resentment, and broken father-figure that Ishmael inherited. The question is, how can we minister healing to those heart wounds on an individual scale, then on a corporate scale, to Muslim communities and Muslim nations? A vital key to our success in this is how we position ourselves. Imagine Isaac coming to Ishmael with a superior attitude: “I got Daddy’s inheritance, but I’ll give you a handout now and again.” Unfortunately, the Western church too often approaches Muslims with a superior attitude, and don’t understand when our isolated acts of kindness or generosity are looked at with suspicion or even rejected altogether. We must position ourselves as equals, and invite Muslims to join us in the embrace of an Everlasting Father who does not reject or abandon us. For many Christians, we need this revelation and healing for our own earthly father wounds before we can share it with our Muslim friends. Only through their true Father’s acceptance can they find healing from their woundedness and rejection from their “earthly” father (Abraham), as well as the generations of fathers since. We can open a new door for them back to the Father, and when they experience His love, they’ll be able to love those they couldn’t before. I believe God is going to supernaturally help us in this process. Malachi 4:6 prophesies that in the last days God will “turn the hearts of the fathers to their children, and the hearts of the children to their fathers.” We already see this happening on a family level, with more dads than ever before realizing how important it is that they invest deeply in their children’s lives. We also see a younger generation being taught about honor for their fathers in a fresh way. Could God take this to a community and national scale? How about healing the father-child wound (and resulting orphan spirit) within Islam? In these last days, I believe we’ll see it happen. I remember the day one of my Muslim friends got the revelation that God was her Father. I never told her that, but the Holy Spirit whispered it to her, and it changed everything in her relationship with God. May God pour out the revelation of His Father’s heart on all the sons of Ishmael!